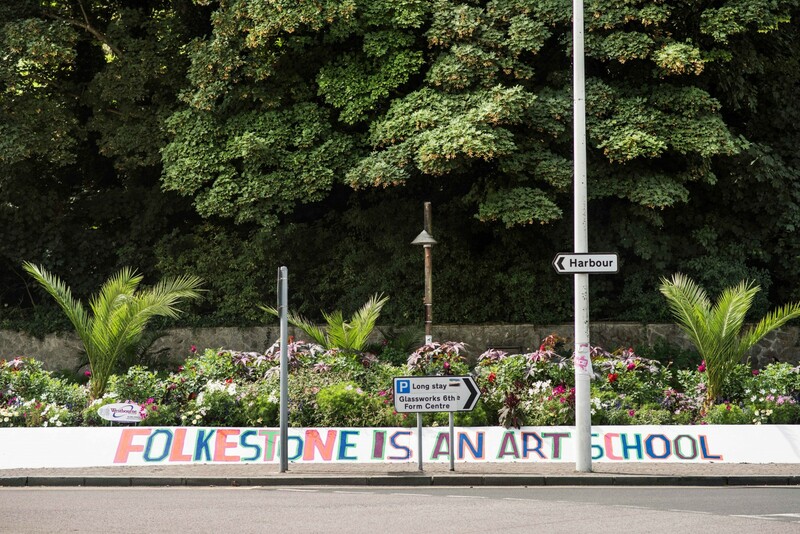 Bob and Roberta Smith, FOLKESTONE IS AN ART SCHOOL, commissioned by the Creative Foundation for Folkestone Triennial 2017. Image by Thierry Bal. 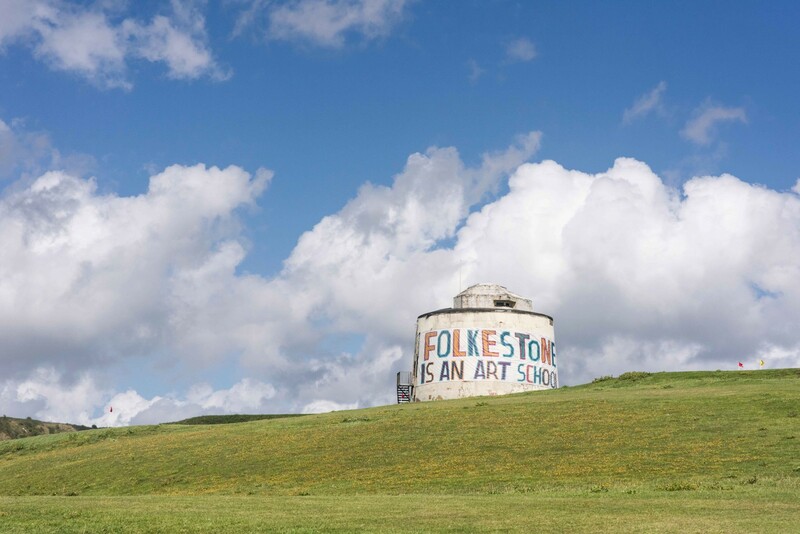 A vocal campaigner on art school education, the artist researched the provision of art education in Folkestone. He realised that all the skills and knowledge required are already there – they just need to be recognised and appreciated differently. 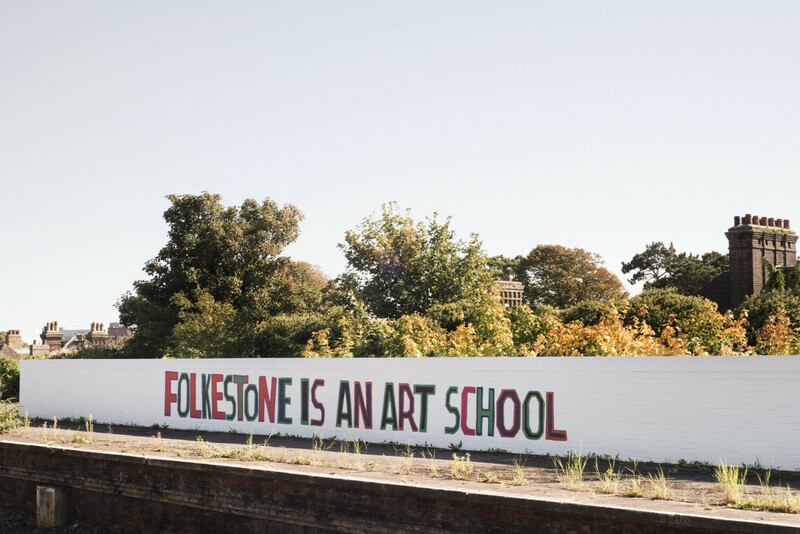 His artwork is in four parts: the ‘declaration’ that FOLKESTONE IS AN ART SCHOOL; a series of twelve short pedagogical videos available at www.folkestonetriennial.co.uk; a ‘directory’ of art teaching facilities and talents; and a teaching programme (and exhibition) delivered by a ‘faculty’ of locally based artists and teachers, to a ‘cohort’ of students selected for tuition by their secondary schools. This artwork is not an art school: it points at the art school. 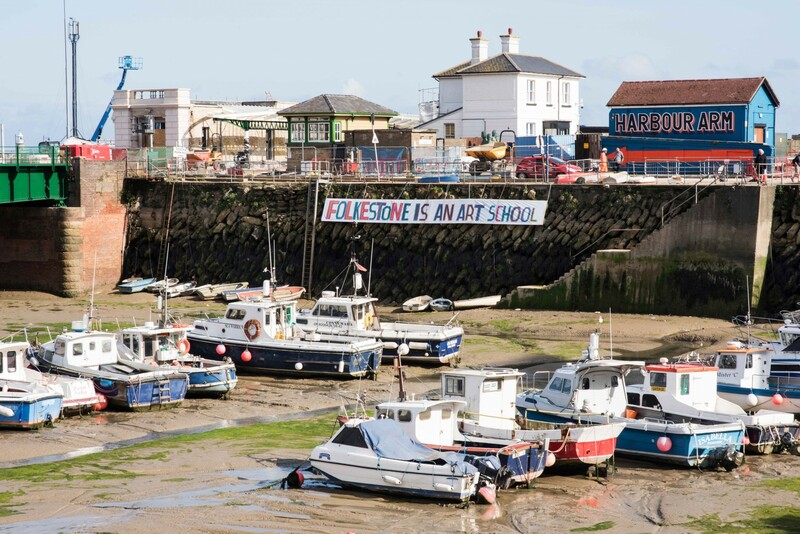 Bob and Roberta Smith is a British contemporary artist, activist, art education advocate, writer and musician. He is known for his "slogan" art that uses text as an art form, creating colourful slogans on banners and placards. He has championed the importance of art education, and central to his thinking is the idea that campaigns are extended art works which include a variety of consciousness raising artefacts. Among his best-known works is his Letter to Michael Gove 2011. He created the 2013 Art Party to promote contemporary art and advocacy and stood as a parliamentary candidate against Michael Gove in the 2015 General Election. Recent works include,This is a Freedom of Expression Centre, for Hull City of Culture (2017) and All Schools Should be Art Schools for Yorkshire Sculpture Park, 2017. His works have been exhibited widely and are in collections in Europe and the United States. Bob and Roberta Smith OBE RA is one man (born 1963). He was a Tate trustee from 2009 to 2013 and became a Royal Academician in 2013.